FirstEnergy (FE) came out with quarterly earnings of $0.67 per share, beating the Zacks Consensus Estimate of $0.66 per share. This quarterly report represents an earnings surprise of 1.52%. A quarter ago, it was expected that this utility company would post earnings of $0.48 per share when it actually produced earnings of $0.50, delivering a surprise of 4.17%. 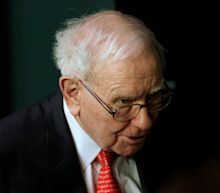 “Well, I've said many times that, if you get to be 65 or 70 and later, and the people that you want to have love you actually do love you, you're a success,” Buffett, 88, told Yahoo Finance's editor-in-chief, Andy Serwer, during a wide-ranging interview. Business magnate Warren Buffett and his wife Astrid Menks arrive for a State Dinner held in honor of Britain's Prime Minister David Cameron and his wife Samantha at the White House in Washington March 14, 2012. In his interview with Yahoo Finance, Buffett covered a range of topics from what he wants in a president to Tesla and SpaceX CEO Elon Musk to negative interest rates. Immediately after he offered a general definition for “true success,” Buffett provided three pieces of advice for people looking to succeed in business and life. They're rewarding stocks that are beating estimates instead of focusing on the overall decline in earnings. 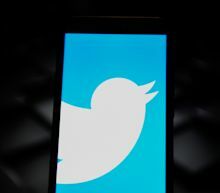 Here are four stocks that are rallying today following earnings results: Twitter (TWTR) Twitter (NYSE:TWTR) shares are soaring, up more than 16% as I write this, after reporting better-than-expected results. The move pushes the stock up and out of a sideways consolidation range going back to last summer. After a rough start to 2019, Tesla Inc (NASDAQ: TSLA) investors have a key fundamental catalyst on the horizon this week when the company reports its first-quarter earnings on Wednesday. Before the big numbers come out, Tesla traders should know the key technical levels to be watching in the stock's chart. Tesla shares have been caught in a bearish channel since the stock peaked in December at around $380. The earnings extravaganza continues on Wednesday with reports from heavyweights Boeing (BA) before the opening bell and Facebook (FB), Microsoft (MSFT) and Tesla (TSLA) after the closing bell. In the morning, investors will be focused on industrial giant Boeing. Boeing has been in the spotlight after two deadly crashes involving its 737 MAX aircraft rattled the company. In the fall of 2018, the telecom industry was shaken up by Apple Inc.'s (AAPL) newest iPhone, whose revolutionary new SIM-card technology let customers switch between carriers, at will. 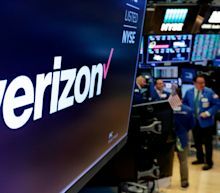 Telecom giants like AT&T Inc. (T), Verizon Communications Inc. (VZ), Sprint Corporation (S) and T-Mobile US Inc. (TMUS), which have traditionally maintained lucrative strongholds over their customer bases, suddenly found themselves struggling to maintain their customer relationships, given the Apple's extraordinary size and reach, according to Barron's. SIM, or “subscriber identity module,” is the current technology used by carriers to identify their customers in order to allow those same customers access to their cell networks. While the U.S. stock market in 2019 is recording one of its best starts in decades, worries that the market is near a peak are prompting a rising number of big investors to shave their equity holdings. 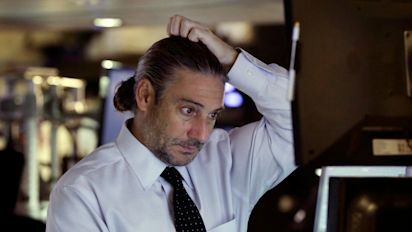 “We're uncomfortable with the fact that the market has shot up as much as it has,” Alan Robinson, global portfolio adviser at RBC Wealth Management, said in a detailed story in The Wall Street Journal. Robinson, who is cutting his equity positions, added, “At this point, if you think, 'Do we swing for the fences or pull up stakes?' I believe you have to do the latter.” Sinking trading volume reflects this growing skepticism among investors. For the full year, our Zacks Consensus Estimates are projecting earnings of $0.64 per share and revenue of $6.79 billion, which would represent changes of +39.13% and +4.82%, respectively, from the prior year. Any recent changes to analyst estimates for AMD should also be noted by investors. Recent revisions tend to reflect the latest near-term business trends. Snap is ready to win back Android users, a base it has long neglected. Snap's improved Android app, months in the making and intended to broaden its user base, was one of the main events on its first-quarter earnings call. Snap shares were volatile in after-hours trading, but overall up 2% as investors digested the results. When you contribute to a Roth 401(k), the contribution won't lower your taxable income today. There are no tax consequences when you take money out of a Roth 401(k) when you're 59½ and you have met the five-year rule. Most Americans have the bulk of their retirement savings in a 401(k) plan or similar employer-sponsored retirement account, and that's great. GILD stock has been steadily trending lower since its early 2018 high, and if shares break below a technical floor right around $60, this oversold name will most definitely become one of a handful of stocks to sell. In short, Gilead Sciences simply isn't holding up to its competition. Nordstrom (JWN) It's sometimes difficult to tell given the number of store closing we're still seeing, but the so-called retail apocalypse is abating. 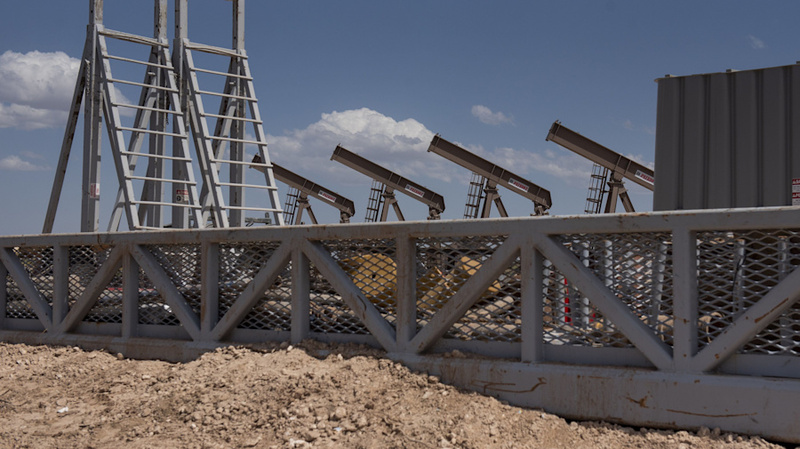 Compass Minerals (CMP) is expected to deliver a year-over-year decline in earnings on lower revenues when it reports results for the quarter ended March 2019. The earnings report, which is expected to be released on April 30, 2019, might help the stock move higher if these key numbers are better than expectations. While management's discussion of business conditions on the earnings call will mostly determine the sustainability of the immediate price change and future earnings expectations, it's worth having a handicapping insight into the odds of a positive EPS surprise. is expected to report earnings of 86 cents a share on sales of $45.1 billion before the market opens Wednesday, Apr. 24, based on a FactSet survey of 24 analysts. AT&T is currently trading at a price-to-forward-earnings ratio of 8.9 based on the 12-month estimates of 29 analysts surveyed by FactSet. This change lagged the S&P 500's 0.88% gain on the day. Heading into today, shares of the company had lost 0.22% over the past month, outpacing the Medical sector's loss of 6.83% and lagging the S&P 500's gain of 3.96% in that time. Wall Street will be looking for positivity from ACB as it approaches its next earnings report date. JD will be looking to display strength as it nears its next earnings release. On that day, JD is projected to report earnings of $0.14 per share, which would represent year-over-year growth of 27.27%. Investors should also note any recent changes to analyst estimates for JD.